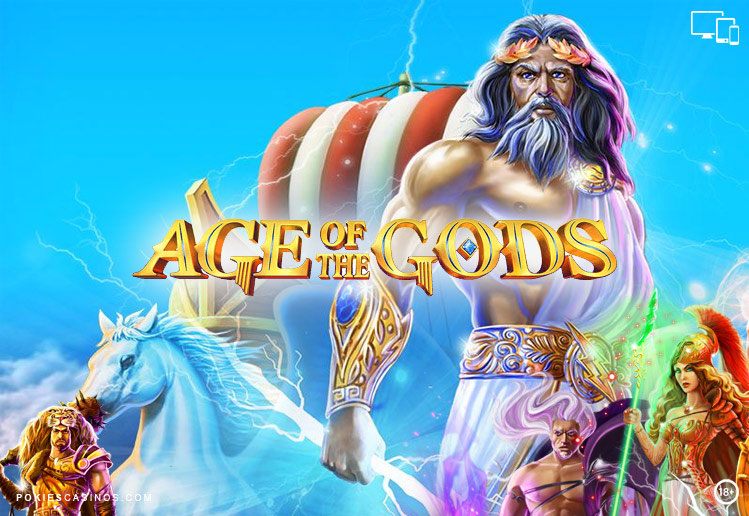 Introducing to you our most popular pokie series to date – Age of the Gods, designed and based on Ancient Greek mythology which is brought to you by the reputable gaming software developer Playtech. 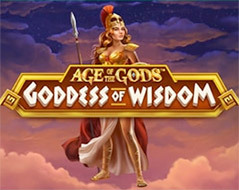 Age of the Gods includes a total of 6 pokies in the series namely, Goddess of Wisdom, Furious 4, Fate Sisters, King of Olympus, Prince of Olympus and the final being Age Of The Gods. The games are well stocked with a variety of exciting bonus games, free spins, wild symbols and more. 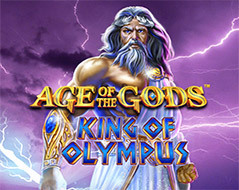 The objective of Age of the Gods is to obtain winning symbol combinations by spinning the reels and enjoying the rewards offered by the bonus and feature games as described in each review. For your added convenience the series is available on both desktop and mobile gaming platforms. The Age of the Gods series features an insane 4 tier, multi level progressive jackpot which is reminiscent of the Marvel Progressive Jackpots. Age of the Gods really is the future when it comes to progressive prize pools for players. The pokie enables players to access one of four colossal prize funds thanks to its randomly triggered jackpot feature, while a hugely rewarding free spins game means regular base game winnings are easily triggered. There’s a multi-million dollar void that needs to be filled when it comes to progressive jackpot prizes and pokie games. Thankfully, the Age of the Gods series is on hand to occupy this void, and the first title in the franchise again allows players to land Herculean prizes thanks to its randomly triggered jackpot game. 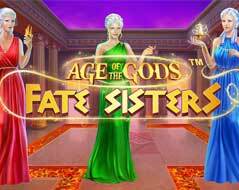 Age of the Gods pokie is powered by the well known software company Playtech and has 20 paylines with 5 reels. The Pantheon of Power on Reels feature lines up all 5 Gods to award a cash prize. 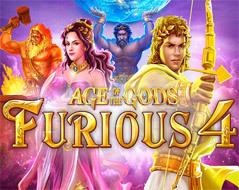 But this game is all about the Age of the Gods Bonus featuring 4 Free Spins features –based on each of the Gods. Age of the Gods pokie has a spectacular design with electric blue reels framed in gilded gold, amazing 3D graphics and animations. The symbols are from the famous Gods from the Pantheon of Greek mythology. 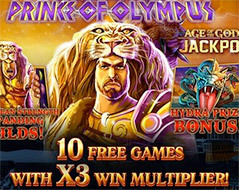 This pokie is linked to the Age of the Gods Jackpot series of games which is a multi-level mystery progressive jackpot. A small percentage of each bet placed in any of the Age of Gods games gets added to the progressive jackpot. Pantheon of Power On Reels bonus features is where all 5 Gods must appear consecutively on an active payline starting from Reel 1 – this will pay 200x times the line bet or 10x the stake as a cash prize. The Age of the Gods Bonus feature is triggered when 3 or more Age of the Gods symbols appear anywhere on the reels in the base game. 20 coins appear – match 3 Gods to play the corresponding free spins feature. The Wild symbol substitutes for all symbols except the scatter. Land 5 Wild symbols anywhere across the reels to win the maximum 10 000 coin Jackpot. Land 3 or more Age of the Gods Logo scatter symbols anywhere on the reels to be presented with a selection of 20 coins. Find 3 of the same Gods to activate the bonus games. The scatter symbol pays total bet prizes worth 3x, 10x, and 100x whenever 3, 4 or 5 appear respectively. This bonus feature requires 5 Gods to line up on any active payline from left to right to win 200x the line bet. To trigger the bonus games, players must first prove their worthy by landing 3 or more Age of the Gods scatter symbols anywhere on the reels. Athena – awards 9 Free Spins before each free spin, Athena awards a random multiplier between 2x and 5x for the next free spin. 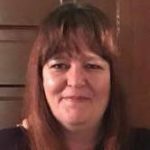 Unfortunately, more free spins cannot be re-triggered. Zeus – awards 9 Free Spins begin with a 1x multiplier – after every 3 free spins, Zeus increases the multiplier by 1x. This means free spins 4 to 6 will be subject to a 2x multiplier and free spins 7 to 9 get a 3x multiplier. The Wild symbol will be locked in the middle position of the middle reel. Extra free spins cannot be re-triggered. Poseidon – awards 9 Free Spins A bolt of lightning shoots from Poseidon’s trident which turns up to 5 symbols into Wilds on each free spin. This is the most rewarding of the free spins features where up to 7 000 times the stake can be won! Hercules – awards 9 Free Spins Hercules is a stacked wild on the middle reel substituting for all symbols except the scatter. Hercules as a stacked wild will fill up reel 3 for the duration of the 9 free spins. Avoid getting Hades, otherwise the feature will end and no more free spins will be awarded. Win some free spins to go back and get to pick more symbols to win extra free spins. There are 4 Progressive Jackpots: Power, Extra Power, Super Power and Ultimate Power. Jackpot games will be awarded at random. All spins can win an entry into the Jackpot Game, even those spins without winning combinations. The Jackpot Game opens a new screen with a 5 x 4 grid of 20 Age of God Coins. Click on the coins to reveal the Jackpot Symbols, 3 matching symbols will win that Jackpot! There is a limited amount of time to react! The Autoplay option gives players the choice of 10, 25, 50 or 99 spins. Simply hover over the button to display the list of options. Select the amount of spins to be played automatically or choose the ‘Until Feature ’ to spin until the Bonus round or Jackpot is triggered. Or choose to click ‘Stop’. Where to play Age of the Gods Pokie Game. You can play Age of the Gods pokie game at our recommended Playtech Internet casinos below.